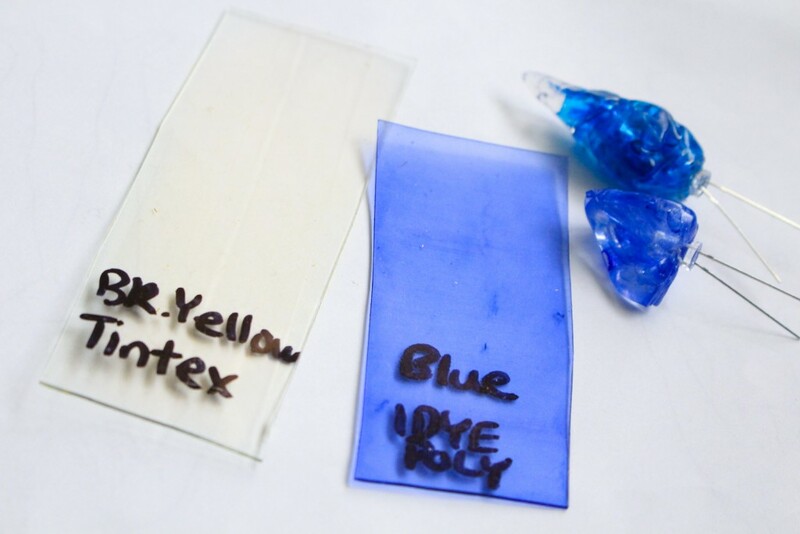 Amanda of Elemental Photography and Design created this tutorial for tinting or dying TranspArt with iDyePoly dyes. 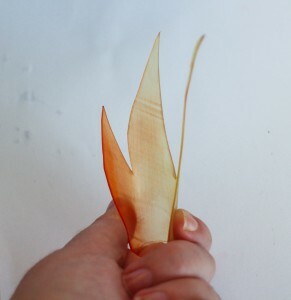 Worbla’s TranspArt is awesome for clear applications, but sometimes you want it to have a colour while still being able to see through it. Automotive spray tints are an option, but depending on where you live, they’re hard to get – or only come in very limited colours. And if you need the piece to remain flexible, spray tints can flake off your surface. It’s possible to dye TranspArt, however, and quite easy – and the dyes are decently priced (though somewhat limited to single day/project use). 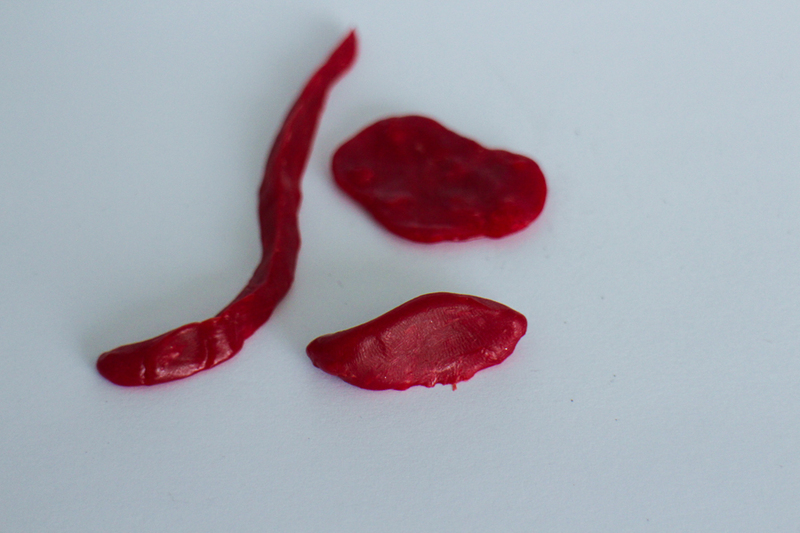 TranspArt once dyed still retains a great deal of the colour depth (even when stretched) and shaped pieces can be dyed, though they may need to be reformed as the process requires hot water. 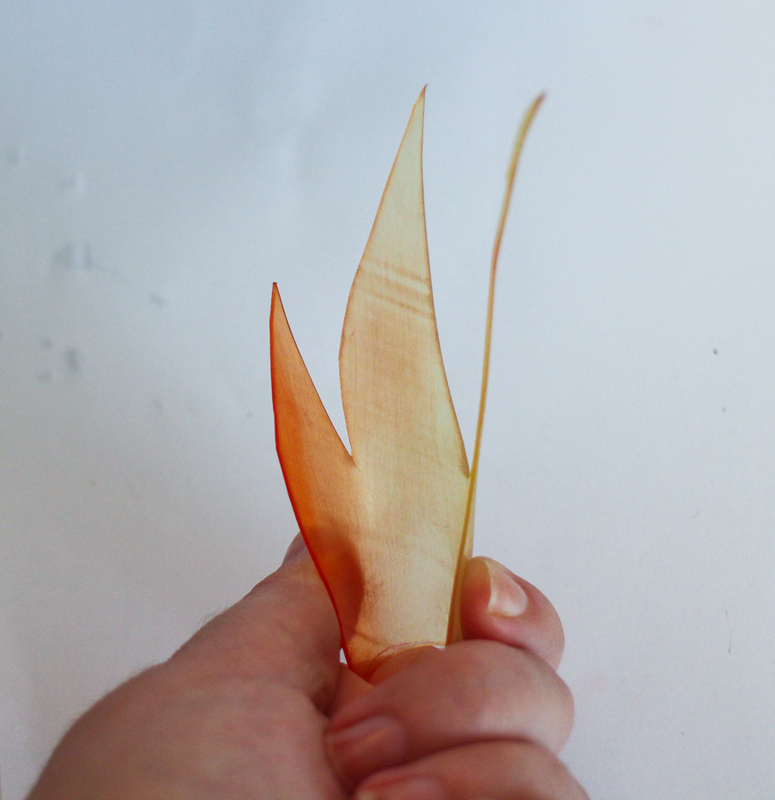 Worbla’s DecoArt is known as Friendly Plastic (or Polycaprolactone) in North America and takes colour very well, allowing great light transparency – though it can be difficult to dye evenly. 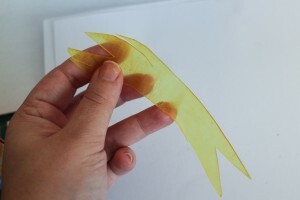 Keep in mind that this tutorial is based on iDyePoly Yellow and Red – and I’ve had success with Blue as well. 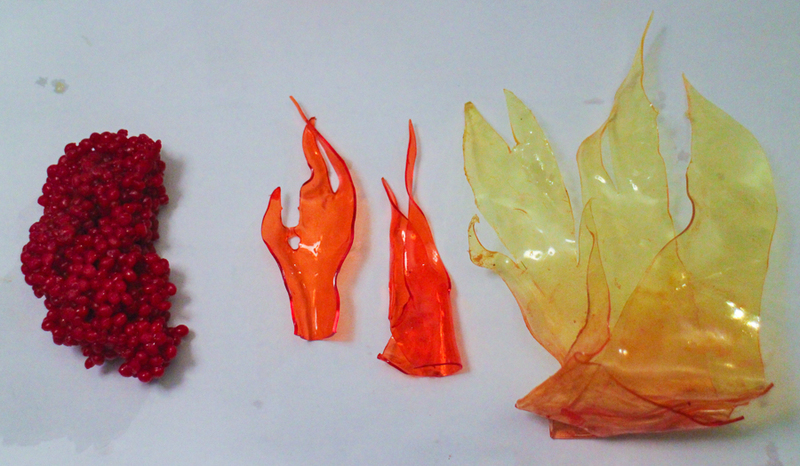 Always test your dye and plastic before working on a big piece! 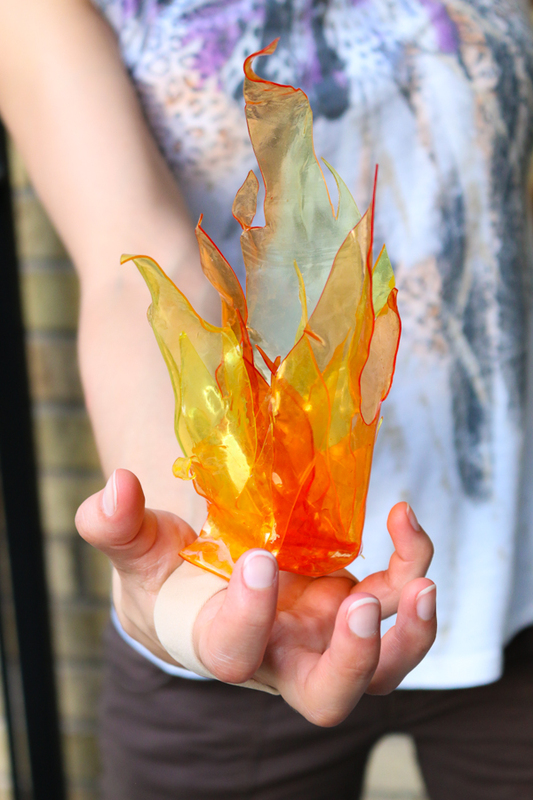 I used this process for this handflame prop. You can find the short tutorial to make your own here! 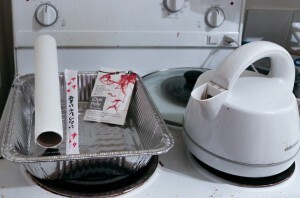 Hot water: Because I use foil trays and I don’t like dealing with them and high heat, I use a kettle to boil water first. 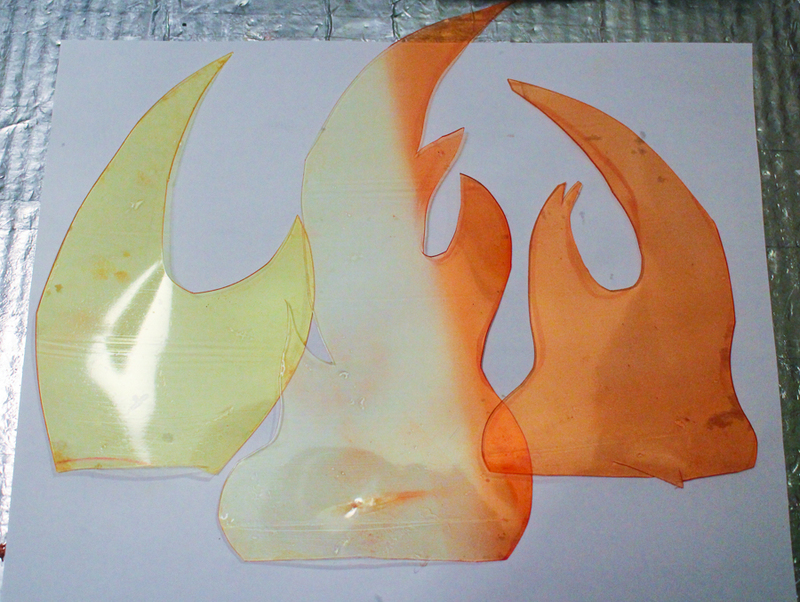 Since I was working with small pieces of dye, I only used half the package of the dye and did not use the intensifier for the yellow and red pieces, saving that for later. For the most intense effect, always use the whole package and intensifier. I empty the dye into the container, then add the hot water from the kettle and stir to dissolve. I add just enough hot water to cover my pieces. If dying Friendly Plastic, I keep my pellets spread out inside a strainer. Note: Transpart’s activation point is higher than boiling water, but it still gets very soft. 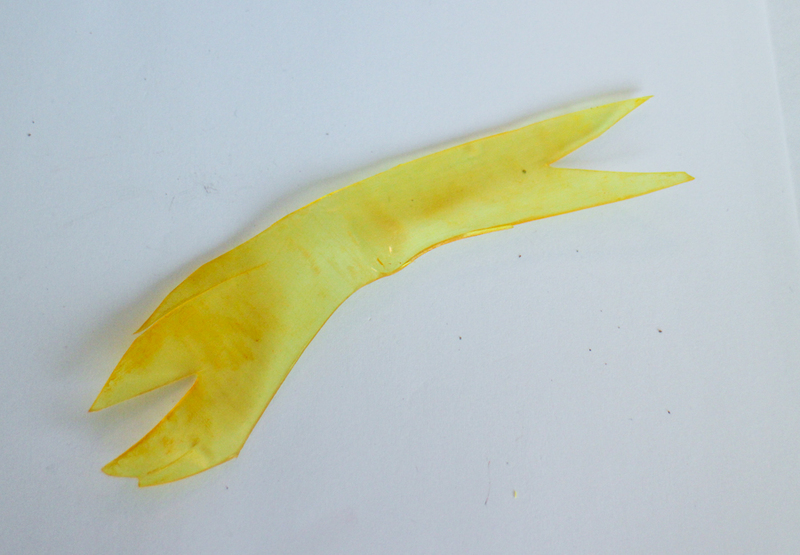 I found the shaped pieces I added drooped significantly, but did not become completely flat. If you were dying something like a dome, or a simple curved visor, you will probably have to reshape it – still the best idea if you want the highest concentration of colour. 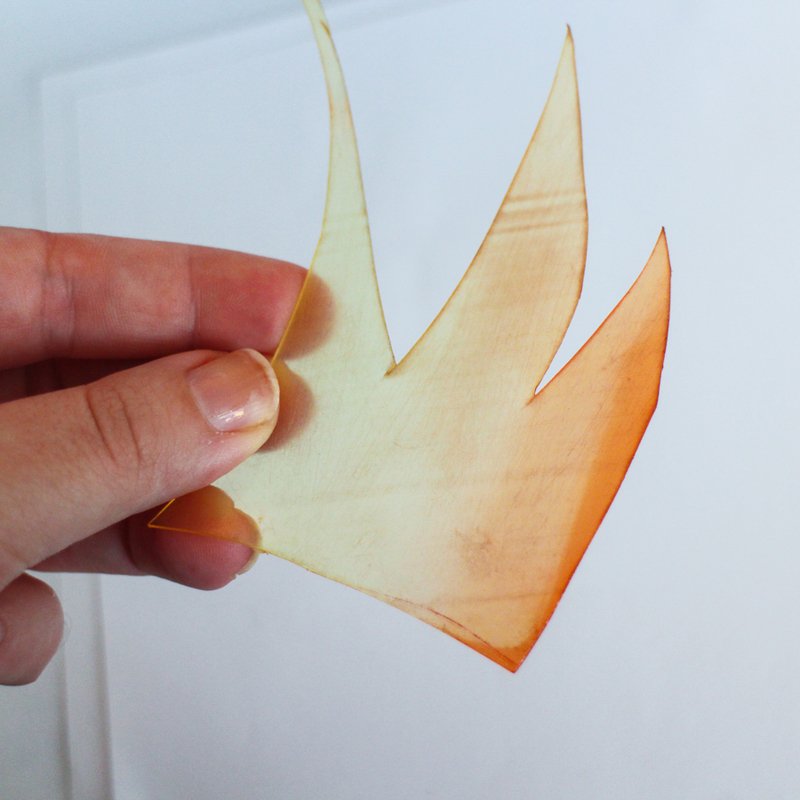 If you don’t mind a loss of some colour, you can dye your transpart first, and then shape it. Note 2: It’s not very easy to use this method to get an even, predictable gradient. 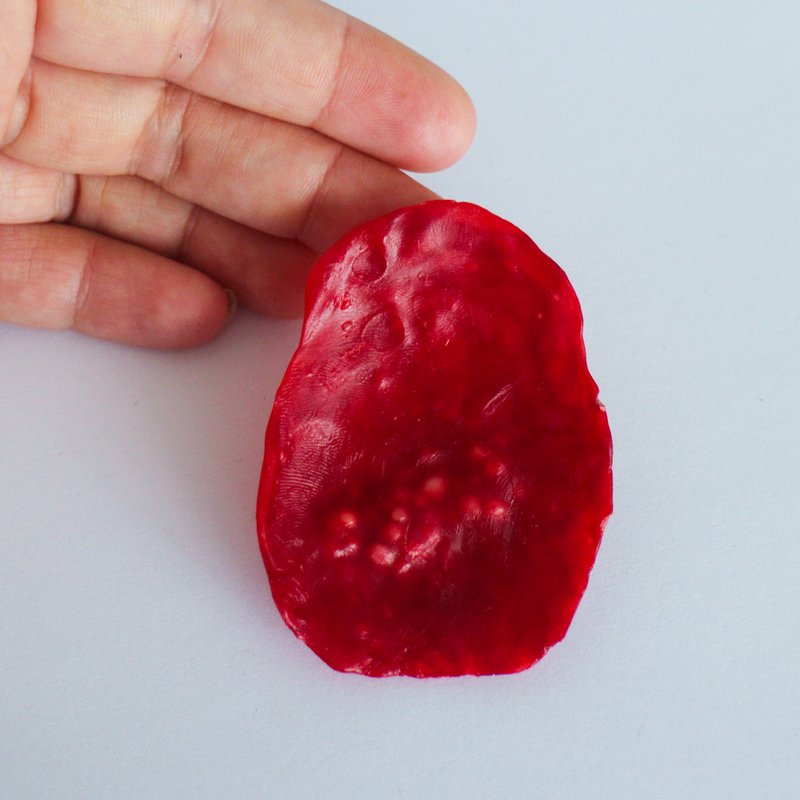 If you need a perfectly smooth shift between colours over a certain area, you will probably have to do a lot of dipping and shifting of the plastic/babysit the piece for a solid 20 minutes or more. An airbrush might be your best bet at that point, with the loss of visibility taken into account. Keep your water hot. I turned my stove on to medium-low. Leave your plastic alone, coming to stir and shift the water every 5 minutes or so, flipping your plastic over or shaking up the pellets in your strainer. The longer your plastic is in the dye bath, the more dye there is, and using the included intensifier – these will all help give you the deepest colour possible. Remove, rinse, and wipe down with paper towel. You’re done! You can play with overdying, gradients, light tints and heavy colours – the possibilities are endless, especially when you then layer different shades of TranspArt together! 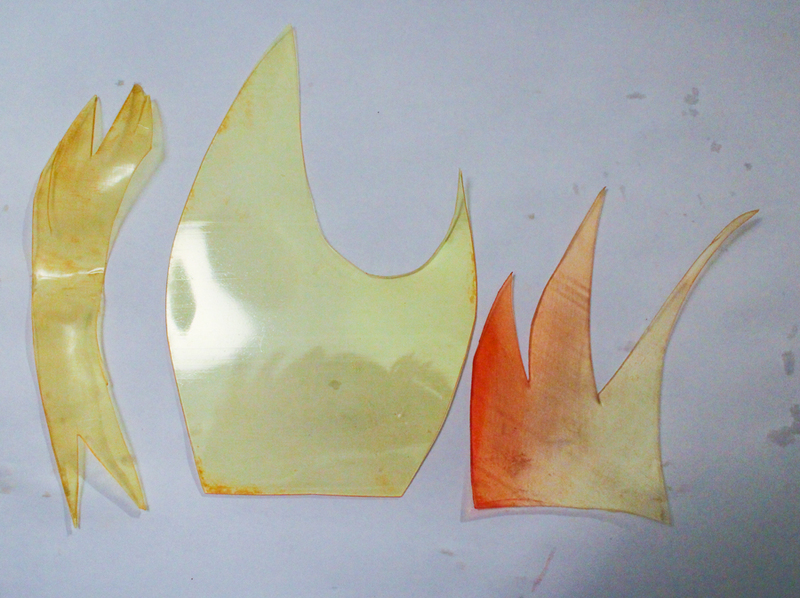 Left: Preshaped flame (very ‘droopy’ 20 minutes in red (base) 10 minutes in yellow (top only). Following same as above. Blue iDyePoly with intensifier 1 hour. Both of these started in hot water that was allowed to cool. 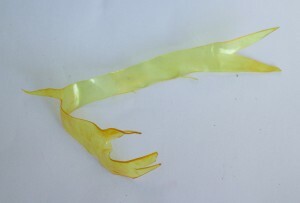 Right: Resin dye folded into center of TranspArt. Sanded Transpart: If you want a somewhat frosted look to your TranspArt, it’s absolutely possible to sand your pieces with fine-grit sandpaper first and then dye them. 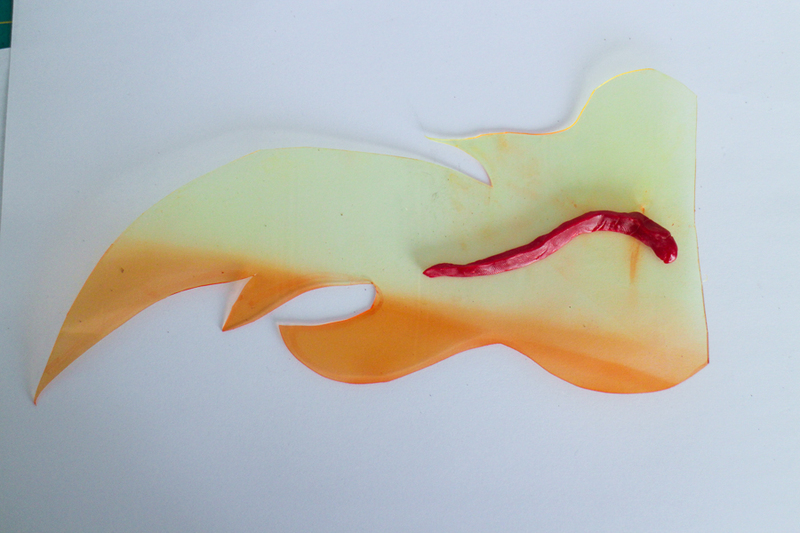 It gives a very slightly deeper colour compared to un-sanded TranspArt. 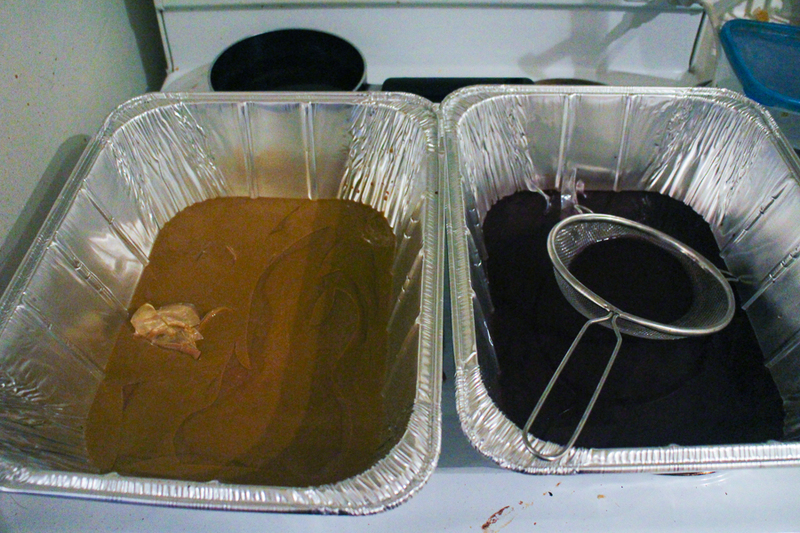 It’s much easier to dye your pellets instead of dying finished pieces, and try to keep your pellets spread thin in a layer on your strainer, rather than clumped together. Great if you need to add coloured, smooth, raised details onto TranspArt surfaces! 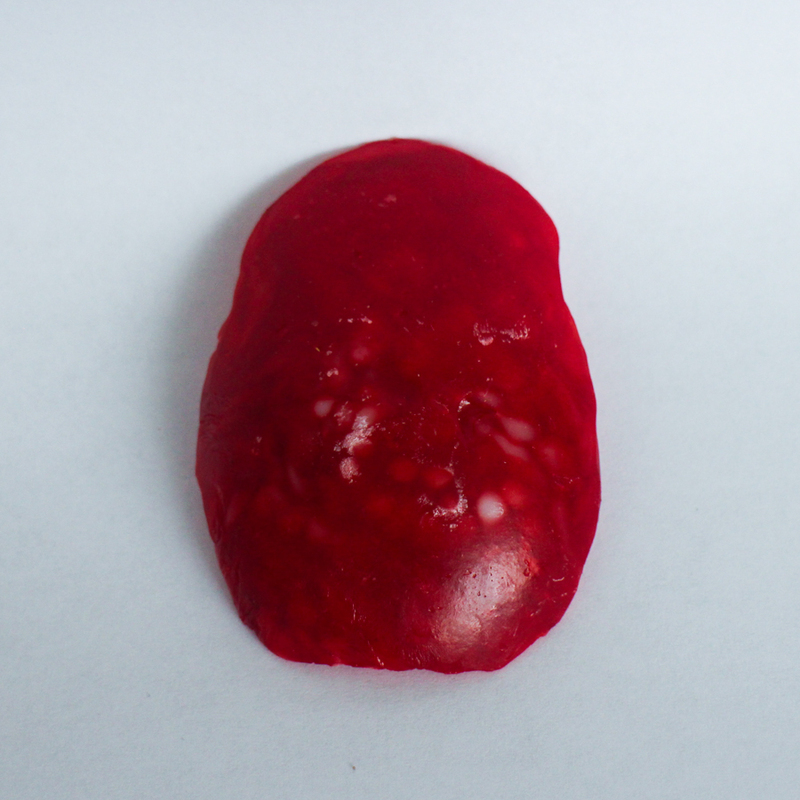 While the plastic takes dye wonderfully, it’s easy for it to miss some of the pellets, or dye them a bit unevenly if they’re grouped together – which can lead to white pellets in your finished product. 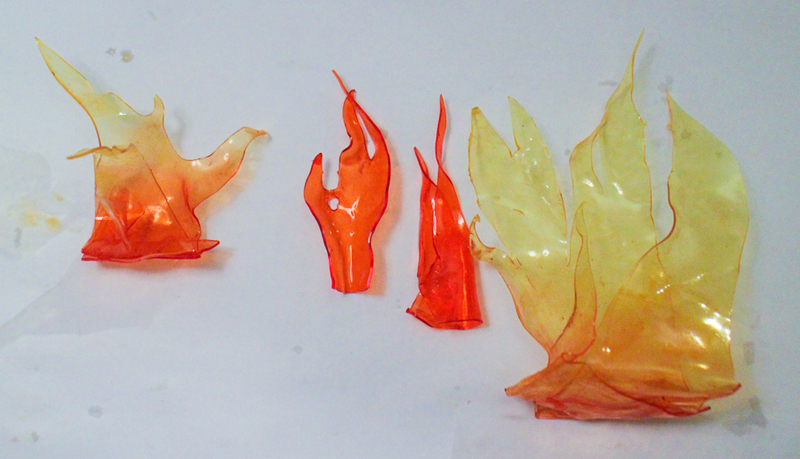 Friendly Plastic dyed ‘clumped’ together (see first dyed sample pic above) and then shaped into a mould. Undyed/unmelted pellets from the center stay white and hard. 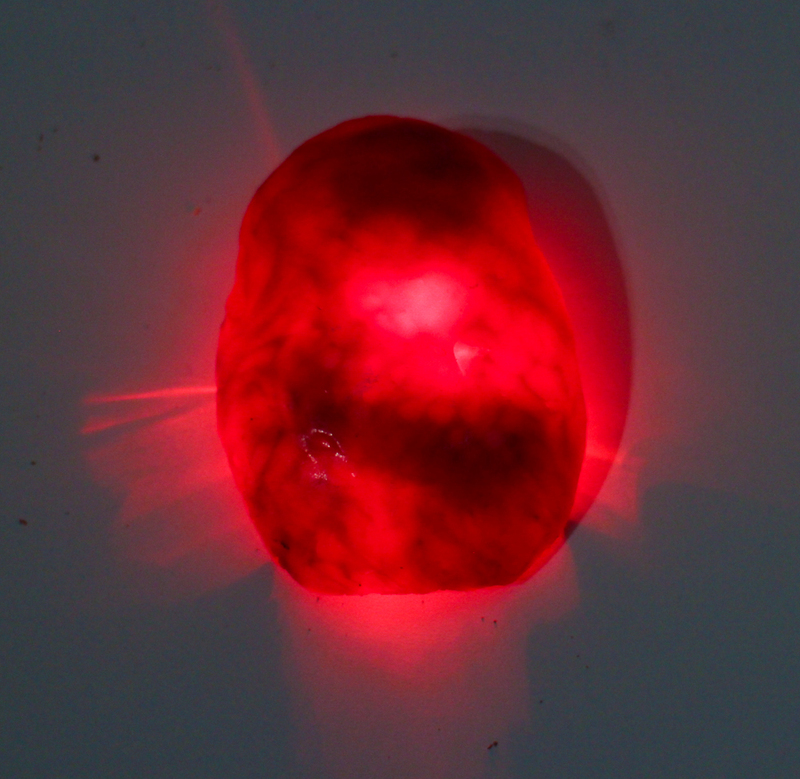 The dyed plastic gives a mottled, swirled effect when a light is shone behind it. 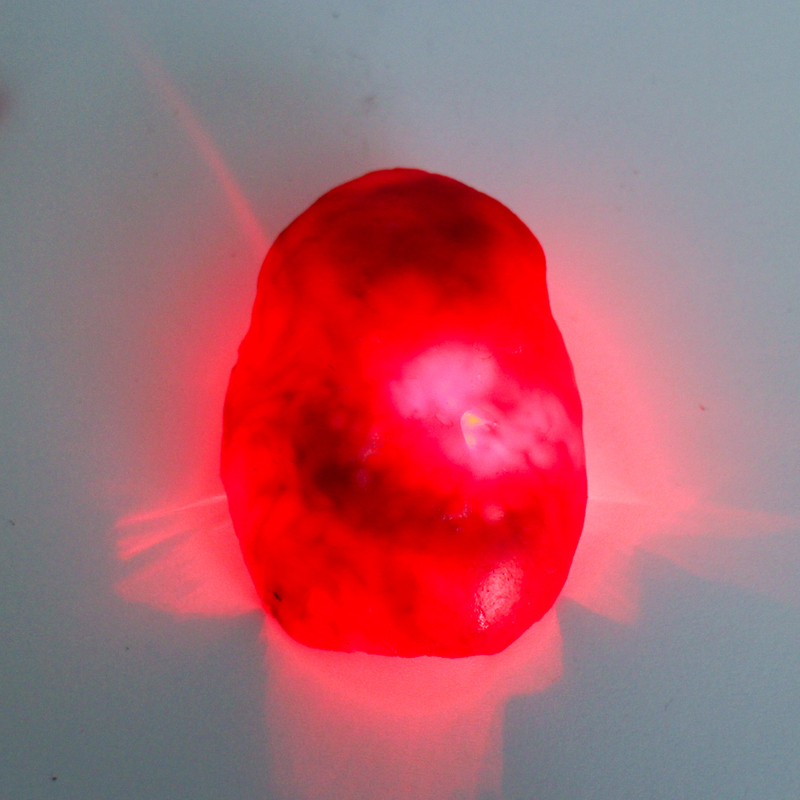 I think it could be totally useful for some styles of gems, especially as it allows for a lot more light to pass through than just painting the plastic with acrylics or spray paint would! iDyePoly maintains a surprising amount of colour depth after the TranspArt is shaped/stretched. This piece was almost doubled in length, but the colour stayed even (didn’t get straky or splotchy) and is only a bit lighter in the center. The amount of colour the TranspArt will pick up depends on the length of time it spends in the water and how much dye is used. The intensifier can help make the colour stronger, but deeper colours (blues, reds) will take more noticeably than yellow or orange. 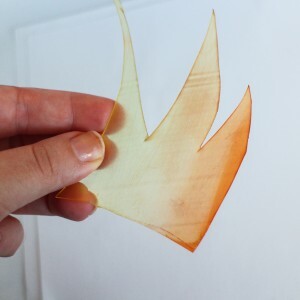 Friendly Plastic takes the actual colour very well, but can be tricky to dye evenly, and is best used for small batches and small projects. And remember to always, ALWAYS test your plastic before you work on a big project! Some dyes can have surprising results!